The number of Apple Pay users has more than tripled over the past year, with transaction volume up 500% year-over-year, Apple CEO Tim Cook revealed during the company’s first quarter earnings call. The mobile payment service is also expected to launch in Taiwan “soon”. “Apple Pay continued its strong momentum, with the number of users more than tripling over the past year and hundreds of millions of transactions and billions of dollars in purchases in the December quarter alone,” Cook told investors. The mobile payment service’s launch in Taiwan is imminent, according to the company’s website. It will launch in the country with support from Cathay United Bank, CTBC Bank, E.Sun Bank, Standard Chartered, Taipei Fubon Commercial Bank, Taishin International Bank and Union Bank of Taiwan. 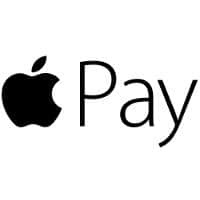 Apple Pay launched on the web in September 2016, allowing users to make online purchases using a ‘Pay with Apple Pay’ button. This really ought to answer the doubters about consumer acceptance. While these numbers are clearly not sustainable, neither do they need to be. Apple Pay is clearly a success. Along with Android Pay an Samsung Pay, mobile payments are clearly a success. This success is at least in part at the expense of “cards.” The brands and banks need to learn that they are now in the credit granting and transaction processing business, not the “card” business. The longer it takes them to get the message, the more of the transaction processing revenue they will end up sharing with others. In hindsight it will look obvious.